Great for applications where a full skirt is unnecessary, a Kayak Paddling Half Skirt provides all the protection most recreational kayakers need for comfortable kayaking. Versatile and easy to install, this skirt mounts by itself or in tandem with a full-enclosure skirt without pockets. Shock cord helps you install the skirt quickly and easily, while the implosion bar helps shed water splashed up over the kayak's sides. Skirt features two zippered storage pockets for gear. Easy-to-use design slides down for easy access. Lightweight skirt weighs less than 2 lbs. ! Color: Black. Imported. Whether surfing or just enjoying a leisurely paddle, the sleek and versatile 3.4 from Malibu Kayaks provides the speed and performance you want. 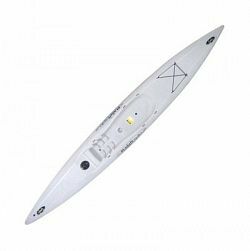 This lightweight, 11' 4'' kayak features a sleek hull design and patented foil rails for fast maneuvering with low windage, making it a great choice for lighter paddlers and surfers alike. 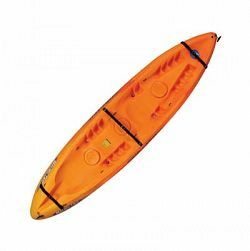 Made of roto-molded, linear polyethylene, this versatile, sit-on-top kayak surfs waves easily and effortlessly while still delivering the ideal stability for recreational and fitness paddling. The 3.4 also features a middle cup holder, multi molded foot rests, eyelets, drain plug with base, bow and stern handles, and 4'' water-resistant round storage hatch with bag. Maximum weight capacity: surfing - 230 lbs. , paddling - 140 lbs. Carry weight: 46 lbs. Color: Yellow. Made in USA. Best-in-class performance! The newest addition to the X-Family strikes the perfect balance between comfort and capability. At only 9'3" long and 48 lbs. 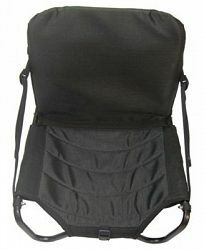 , it’s extremely agile and lightweight, making it ideal for fishing and diving. Features spacious dry seating, a large multi-purpose tank well, center hatch with removable bag, multiple footrests, cup holder, and carry handles. Color: Red. Length: 9'3". Width: 33". Weight: 48 lbs. Maximum weight capacity: 300 lbs. Made in USA. An ideal surf ski, the 4.4 Kayak from Malibu Kayaks is designed to meet the demands of every paddling enthusiast. Whether surfing or just enjoying a leisurely paddle, this sleek and lightweight, 14' 6'' kayak features a sleek ''Straight Glide'' hull and profile design for effortless straight line paddling, even in windy conditions. Patented foil rails provide fast maneuvering with low windage, making the 4.4 a great choice for paddlers and surfers alike. Made of roto-molded, linear polyethylene, this versatile, sit-on-top kayak features a middle cup holder, multi molded foot rests, eyelets, drain plug with base, and bow and stern handles. A 4'' water-resistant round storage hatch with bag and a rear bungee cord provide storage options out on the water. Maximum weight capacity: 240 lbs. Carry weight: 61 lbs. Color: Stone. One of the most comfortable kayak seats you will ever sit in, on or off the water, the Freedom Hawk Kayaks' Elite Angler Kayak Seat makes a long day on the water much more enjoyable. This fully adjustable replacement seat attaches easily to any of the kayaks in the Freedom 12, Freedom 12 Ultralight, and Pathfinder series, and detaches for use as a camp or beach chair when the fishing is done for the day. Tough, corrosion resistant construction. So, enjoy hours of sit down paddling, fishing, or simply relaxing and kicking back in your Freedom Hawk kayak with the Elite Angler Seat. Color: Black. Made in USA. The Malibu Kayaks Stealth 14 Kayak gives serious kayak anglers proven Stealth series performance with the latest features. Measuring 14' 4'' long, this kayak offers fishing enthusiasts Malibu's patented center bait tank system surrounded by a casting platform in a wide cockpit area. The Stealth 14 offers lots of storage options, starting with a Deluxe Hinged Gator Hatch in the bow, providing both storage and a seat for a young fishing buddy. In the stern, the Stealth 14 offers a large rear tankwell with bungee, offering enough room for a five gallon bait tank or milk crate and a 45º rear hatch with bag. Adjustable Foot Track System and comfortable seating for more enjoyable paddling. The Stealth 14 also offers bow and stern carry handles for easy handling and side carry handles that double as paddle holders. Durable roto-molded, linear polyethylene construction. Maximum weight capacity: 550 lbs. Carry weight: 90.5 lbs. Color: Sand. Made in USA. Outfitted with the patented casting platform featuring a 3-hatch center deck with extra storage capacity, plus a center livewell storage system with a convenient mid-ship bait tank system. Spacious hull keeps your fishing rods completely out of the elements. Comes loaded with low-profile Gator Hatch, side carry/paddle holders, adjustable foot track system, and 2 front/2 rear flush rod holders. Various plumbing options, all self-priming. Length: 12'4". Width: 33". Weight: 76 lbs. Color: Stone. Maximum weight capacity: 450 lbs. Combining the features of Malibu Kayaks' proven Stealth series with the size of the popular Mini-X, the Stealth 9 delivers great fishing features in a maneuverable mini kayak. 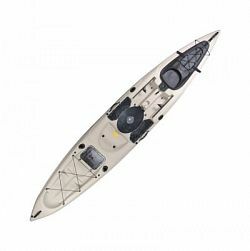 Just 9' 3'' long, this kayak offers fishing enthusiasts Malibu's patented center bait tank system surrounded by a casting platform in a wide cockpit area. The Stealth 9 offers lots of storage options in its 8" round front hatch with removable bucket and room for storage on top and large rear tankwell with enough room for a five gallon bait tank or milk crate. Adjustable Foot Track System and comfortable seating for more enjoyable paddling. 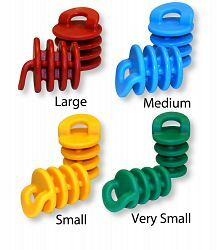 Durable roto-molded, linear polyethylene construction. Maximum weight capacity: 275 lbs. Carry weight: 59 lbs. Color: Blue. Made in USA. 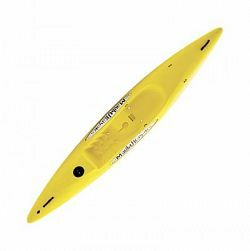 Designed for all-around ocean, lake, and flatwater paddling, the Malibu Kayaks Pro2 Tandem Recreational Kayak provides stable, easy paddling for one or two people. 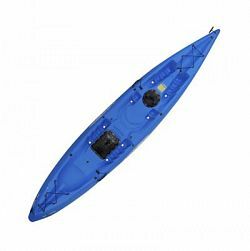 Dry-seating and stackable, this kayak is ideal for day play, fishing, diving, snorkeling exploring, nature watching, fitness, light touring, surfing, and recreational paddling. Enjoy large storage capacity from the Pro2 Tandem's rectangular center hatch and 8" round front hatch with removable bucket. 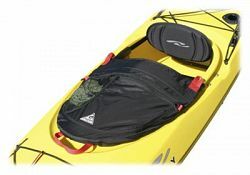 Made of durable roto-molded, linear polyethylene, this versatile, 13' sit-on-top kayak sports threaded nylon eyelets throughout with stainless steel eyelets for handles, stainless steel hardware on all hatches, drain plug, nylon hooks, and bow and stern handles for easy handling. The recreational kayak offers multiple molded footrests for tandem paddling and additional, center molded foot wells for single passenger comfort. Plus, the stern even comes equipped with molded inserts for a trolling motor mount. Depth: 5.5" (from waterline). Maximum weight capacity: 550 lbs. Carry weight: 73 lbs. Color: Blue. Made in USA . A quick solution for boat storage at home, the Attwood Kayak Storage Hanger lets you keep your kayak or canoe along the wall of a garage or shop for easy, out-of-the-way storage. 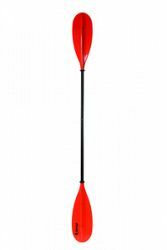 A convenient storage method, the Kayak Storage Hanger uses two durable webbing straps that slip around and hold the boat. Easy to install system safely holds up to two kayaks. Manufacturer model #: 11917-6. Everything you need to safely and easily transport your kayak. 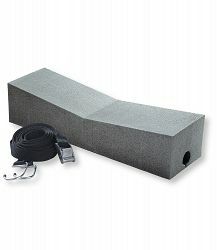 Two sturdy foam blocks snap quickly onto Thule, Yakima or factory-installed roof racks or can be set directly on the roof of your car. Nonskid foam prevents your boat from shifting in transit, and four heavy-duty tie-down straps are easy to tighten so your boat stays secure. USA (components imported).